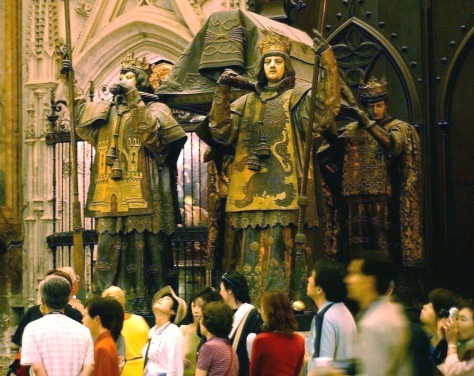 Tourists walk by the tomb of Spanish explorer Christopher Columbus in the Cathedral of Seville, Spain. Spanish researchers recently determined that Columbus' remains are indeed buried in the tomb, based on DNA results. Another Columbus tomb is located in the Dominican Republic, but DNA tests have not been conducted on the remains buried there.